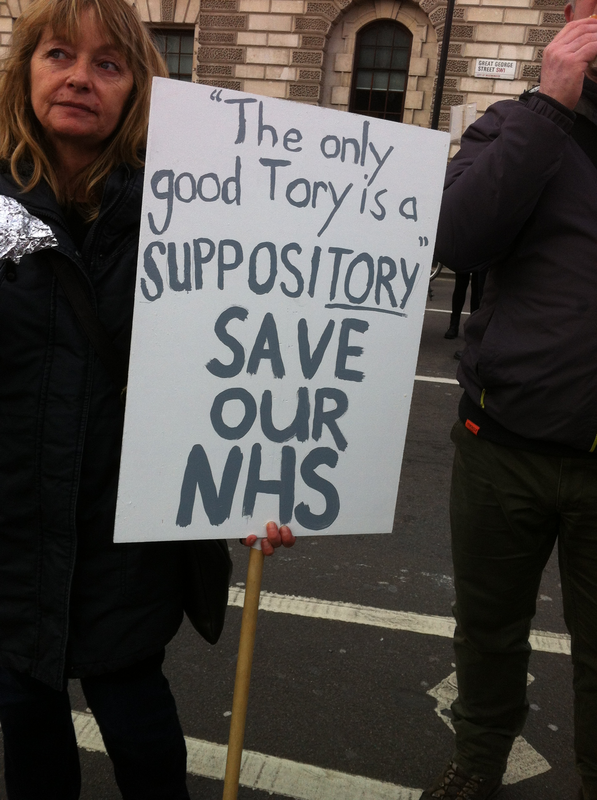 On Saturday 4 March, Southwark Greens joined around 200,000 other protesters for the #OurNHS national demonstration in central London. We marched to Parliament Square in support of a fully and publicly funded NHS, and to oppose spending cuts and privatisation. We also marched in support of the thousands of NHS workers who came to the UK as migrants. Speakers on the day included Larry Sanders, Green Party health spokesperson, and Jeremy Corbyn, leader of the Labour Party. There was a strong Green Party presence on the march, with many different groups from across the country coming in their coach-loads. It was great to talk to Greens from places as diverse as East Sussex, Norwich and Stoke-on-Trent. Larry Sanders's Guardian article on the NHS crisis can be read here.